In 1977, I was making a film called In Search of Utopia, The Doukhobors. Frustrated by the government secrecy regarding the death of Peter Verigin and the lack of disclosure regarding the investigation, I appealed to Robert Cooper who was planning a program on Freedom of Information for the CBC program, Ombudsman. The following program was the result. Since that time, Canada has a Freedom of Information act, but in this case, it did not result in more information. ​Theoretical notes, research, and theories on the Verigin death. ​WHO KILLED PETER V. VERIGIN AND WHY ? 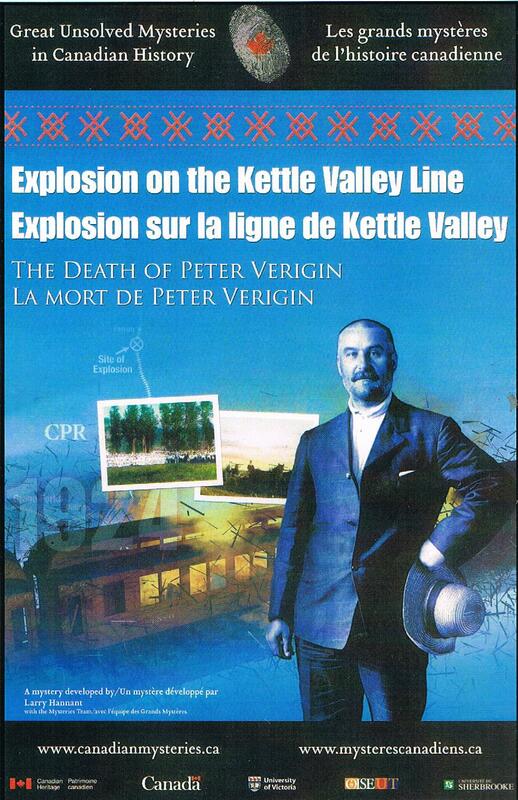 It is possible that Peter Verigin knew his days were numbered, and this knowledge could affect some of the theories regarding his death. In an interview in the seventies with Fedosa Verigin, house maid and friend/relative of Nastasia Golobova, Verigin's wife, Fedosa said that shortly before his death, Peter came home one day and said to the ladies: 'They're writing me a letter, the devils have been watching me a long time, wanting to kill me. Verigin, your days are numbered. Well, what can I do? They could put a bomb in the corner of the room here and kill me - how could I defend myself? I've met and parted with everyone'. It seems he later destroyed these letters, they were unsigned. In these last few months leading up to his death, he became more and more pre-occupied with matters of the spirit. Before his death, he travelled through the villages in Saskatchewan and Alberta, ‘met and parted with everyone’. As he left on his last journey, he distributed raisins and nuts to the children, asked one of them who was used to travelling with him, to stay home and play with his friends, and as he left, declared, ‘Farewell brothers, and please forgive me’! His nephew, Larion Verigin, reported that he seemed tense and nervous as he left. 1] At the age of 65 years, Peter Verigin is becoming tired, frustrated and disillusioned. He is also disappointed that his followers cannot seem to retain their spiritual selves in combination with their material success, and that they fall prey to the human weaknesses as sloth, greed and selfishness. Many of them are losing the concepts of the original Doukhoborism, tempered by torture, privation, sacrifices and idealism. 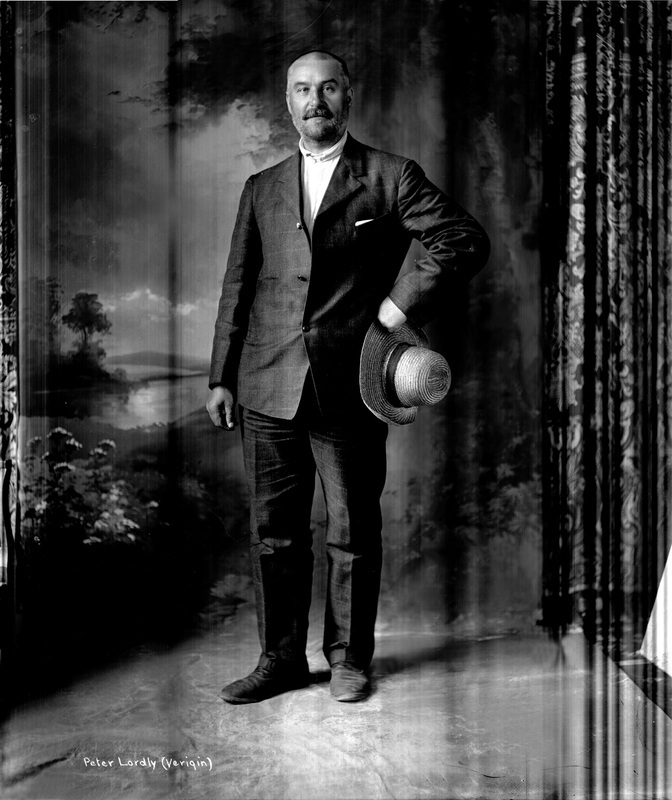 This he experienced himself through sixteen years of Siberian exile, and the philosophical stances he gained through reading, correspondence and meditative thought on many a long winter's night helped him cope with his difficulties and firmed his steely affirmation of the Doukhobor principles. With this in mind, he resolves to shock his followers into a realization of themselves, a shock which will galvanize them back into a reaffirmation of lost faith, or will force them into a collective through the force of having to deal with future problems without his protection and his charismatic leadership. How will this be done? Through his own death - engineered to look as a hostile act of some malefactor. With this in mind, he proceeds to plan his own suicide. Did he plan his own martyrdom or did he have a terminal disease and decided to hasten his own departure? 2] The Canadian government nervously watches the success of the 10,000. + commune of these peculiar people from the now revolutionized country of the birth of communism. 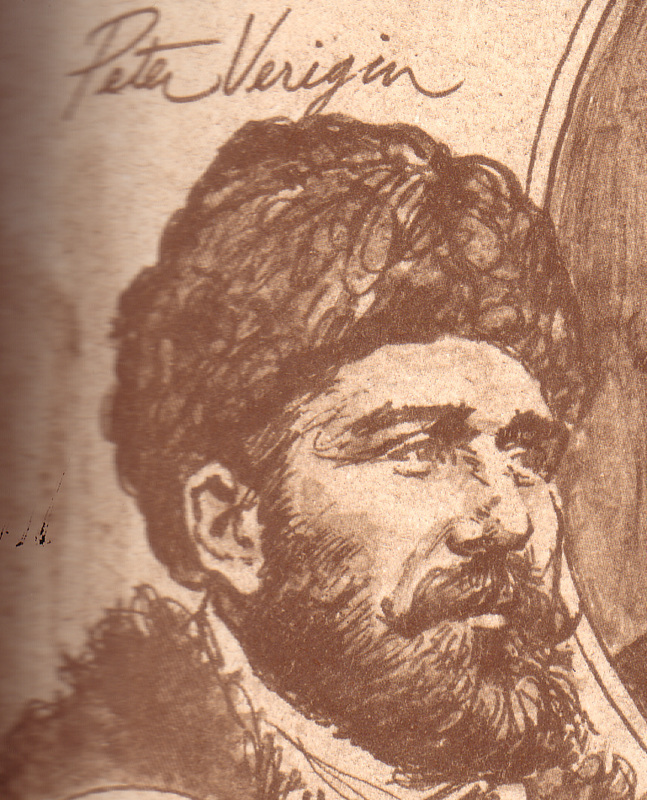 Their spies amongst the Doukhobor community report the slavish devotion of Verigin's followers, and suggest that the entire operation, by this time, the largest cooperative in North America, would collapse if their leader was gone. The nervous government, wondering if they could turn the Dominion into a communist state, panics. Without the head, the serpent will die. 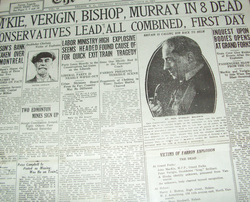 With the aid of the local BC Provincial Police and some employees of the railway company, they proceed to plan and carry out his execution. After the event, and a perfunctory investigation, all evidence is sealed never to be revealed. 3] After facing the unrest between the two world wars, Peter Verigin wonders if the community would truly be better off if they migrate en mass once again - such a move would present new challenges and would solidify the true believers. Such a move would also be easier this time because of the vast assets which could be sold in order to buy land elsewhere. 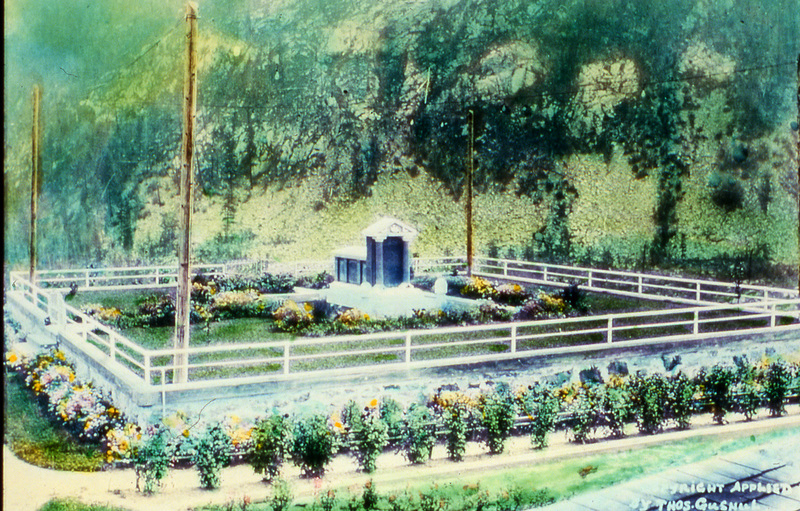 In 1923, Peter Verigin bought 800 acres in Oregon and sent several families to begin fruit farming. On the streets of Eugene, Oregon, the Klu Klux Klan is holding rallies and marches. The Red Scare and the fear of the Fifth Column are rampant. How to deal with this menace, the Russian speaking communists planning to move in and take over their state? If Verigin is killed, the followers will not initiate such a move on their own. With that in mind, the KKK members plot the assassination and engineer his death. 4] The relatively new Soviet government plans to consolidate its grip on power by eliminating all threats that could disturb the status quo. Such an agitator as Trotsky is dispatched in Mexico. Now they hear that Verigin might have plans of moving his entire group back to Russia. The martyrs, terrorists, and fearless colonizers would make all sorts of trouble and set bad examples back in Russia, especially with their pacifist christian doctrine. A watch maker arrives in the community from somewhere in Europe. He ingratiates himself into the Doukhobor community, becomes friends with some, fixes their watches, then leaves suddenly. 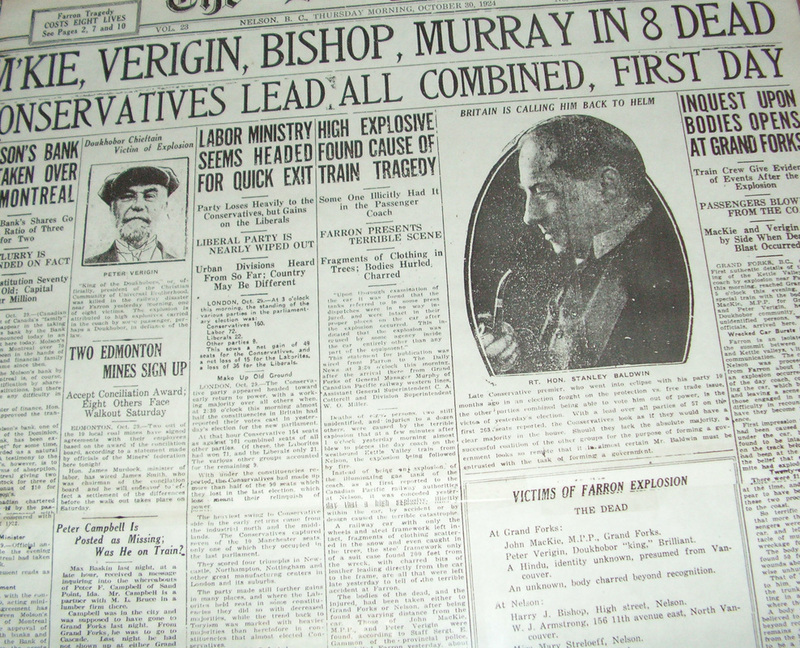 Within a day, Verigin is killed, the first time bomb assassination in Canada. Metro Grishen, the suspect, is detained and questioned in Salmo, and released. 5] [Most unlikely scenario but suggested by Simma Holt in her nefarious book, Terror in the Name of God]: The community is disturbed. Verigin is out of control, so intent on controlling every aspect of the entire operation. What we need is a more democratic leader, someone we all know who would work with us to make this happen, someone like his more easy going son in Russia. It is well known that Peter hates his father for leaving him at such an early age and for sending him back to Russia after his unsuccessful visit to Canada. The young Verigin is humiliated and filled with hatred. Peter plans his revenge and nurses his wounds in Russia, seeking to destroy his father and his father's work and empire. When the time is ripe, he strikes through his agents within the CCUB. These defectors within the governing structure work with him to get rid of the despot. Together they arrange to kill him with the assurance that young Verigin will be proclaimed as the new leader. Marie Strelioff, secretary to Peter, is also killed. Could a jealous lover, suspicions of their relationship, have engineered such a murder? Could it have been Verigin’s own companion, Anastasia Golobova, jealous of a possible relationship between them, assisting the plot? 8] A careless miner carrying dynamite accidentally sets it off. There were no miners listed among the passengers but one may have jumped on at the last minute. 9] The gas lamp used for illumination explodes and sets off the primary gas cylinder below. The railway investigation discounts this theory but they may be hiding their own culpability hoping to place the blame on some other factors. 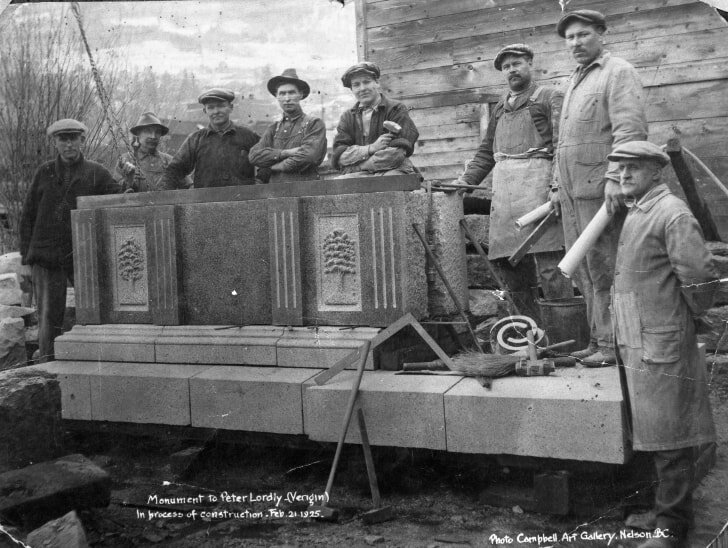 10] Peter Verigin is planning to attend a meeting the next day in Grand Forks and travel on to a further meeting in Spokane with lumber business men. Could a rival business partner not want this deal to close? 11] Simon Kamenchikoff, self-proclaimed 'Czar of Heaven' had written Peter, warning him of his impending death. How and what did he know? 12] Could someone else be the intended victim, and Verigin’s death is an unfortunate by-product of another murder? 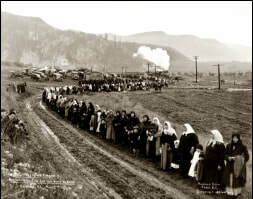 'On the cool autumn evening of October 28, 1924, Peter prepared to depart on his final journey. Earlier, he had invited those nearest to him to share with him a final drink of fruit juice. Prior to his departure, he distributed nuts and raisins to the many children who were always present on his arrivals and departures. Some time later, in the early hours of October 29, near Farron, in the mountains between Castlegar and Grand Forks, his life came to an untimely end. The explosion ripped the coach apart. One of the most dynamic and intriguing personalities of Canadian history was swept into oblivion. He had written Peter, warning him of his impending death. What did he know? What did he write to Peter? This man, self proclaimed Czar of Heaven, is questioned by the police and released. These are the speculations. The ignorance of the facts and the secrecy surrounding the investigation stimulates the imagination and creates fanciful speculations. As noted above, while producing IN SEARCH OF UTOPIA, I attempted to research the Nelson detachment of the RCMP. My attempts were curtailed by a letter from Victoria, which said: ‘The Attorney General has declined to release the contents of our Nelson Sub-Division file and asked that we advise you accordingly’. ​I then wrote to Joe Clark, former class mate and Prime Minister. He replied saying that he would get Allan Lawrence, Solicitor General, to look into the case. Nothing came of this either. How can this case be solved without the cooperation of the investigative bodies, namely the Canadian government and the police forces? There appears to be more than one mystery here.